The prettiest (and most effective) products for the not-so-pretty problem. This is the first winter in my life when my skin has been so affected by the dry, brisk climate. My face developed rough, itchy patches from my ears, down my jawline to my chin on both sides; the texture was almost reptilian, it was so bizarre and uncomfortable. I had been on long-haul flights 8 times in the last two months and that with a short stint going from freezing Pittsburgh to super dry Arizona probably did my skin in. Along with a self-prescribed diet of extra water and detoxifying foods including leafy greens and omega-3's, below are the skincare products that rehabbed my dry skin in just a short month. 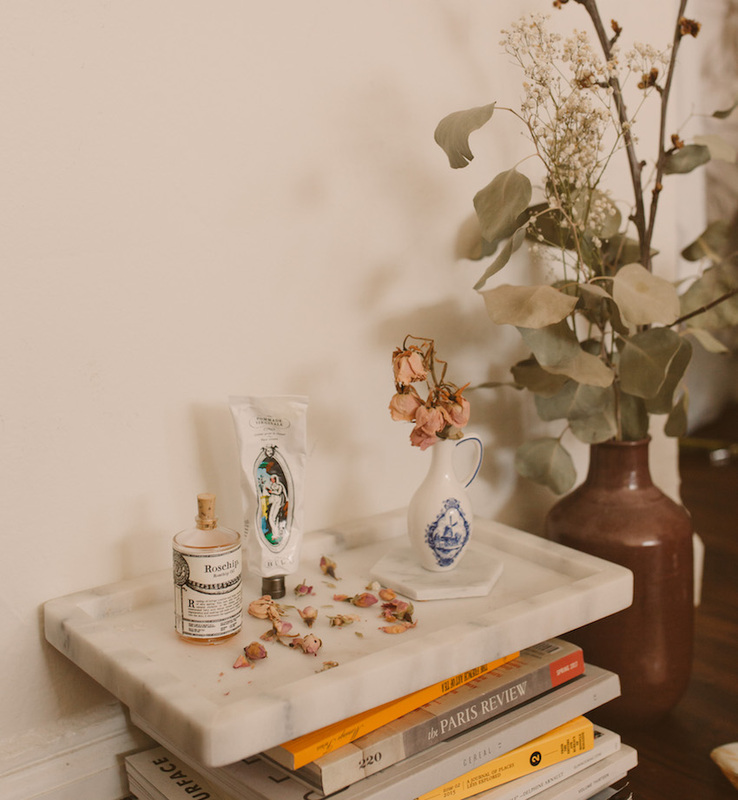 I sought the skincare I had in my cupboard that had everything to do with hydration and calming sensitive skin and I like products that are clean, natural, and simple, so nothing extra will irritate the skin. Every morning and night, I cleansed my face with May Lindstrom Honey Mud. The texture is like that of a soft pudding that emulsifies when mixed with a few drops of water between your fingers for a super gentle cleanse. White halloycite clay and raw honey restores hydration to your skin, while removing dirt and makeup. I also used this as a mask every other day for twenty minutes to relieve itching and irritation. To quickly get to what I think is my top skin savior, on clean dry skin, I pat and press on a few drops of Hanskin Hyaluron Skin Essence. 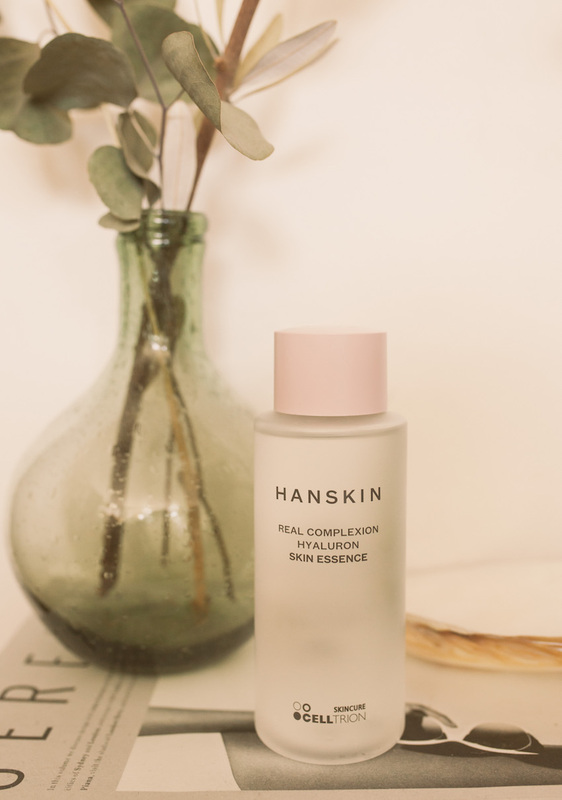 This incredible elixir immediately hydrated my dry spots and plumped my skin with its specific form of hyaluronic acid that performs better than the norm. I would pat this on a couple of times throughout the day when my skin felt dry. Next, I layer my moisturizer on and I have religiously used Buly 1803 Pommade Virginale face cream for the past few months ever since discovering the natural beauty brand in Paris. The face cream is infused with Linden Water and Sweet Almond Oil that soothes and hydrates and it just soaks right into your skin. It's very clean and simple. My last layer of skincare is a natural oil to seal in all the moisture and goodness I just put on and I switch between Buly 1803 Rosehip Oil and Rodin Olio Lusso Face Oil for morning and night. Rosehip oil is rich in essential fatty acids that gives skin the nutrition to rejuvenate and improve texture. 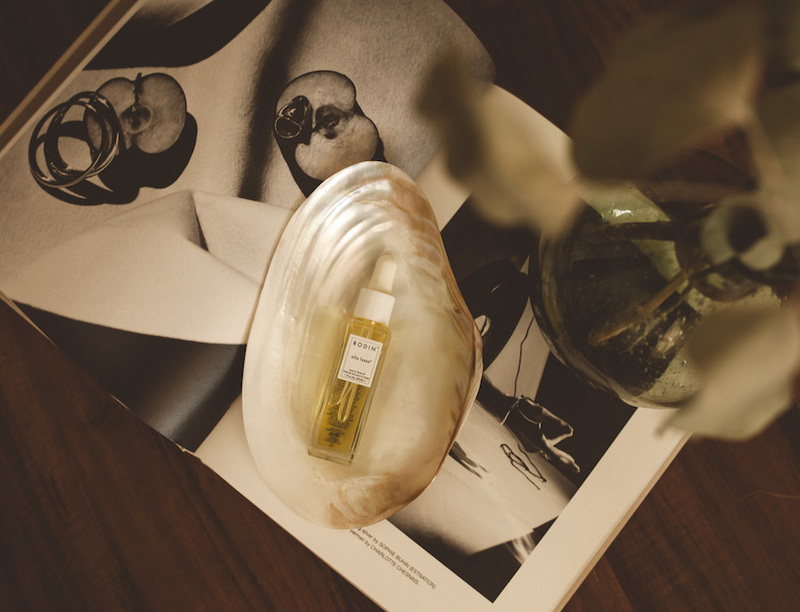 Jasmine and Neroli, along with a bounty of powerful essential oils in the luxurious Rodin Olio Lusso oil, make for hydrated, glowing skin and leaves a delicate floral scent that relieves my spirit. I love putting it on at night just before bed. Through my research on treating dry, itchy skin, I've come across a ton of info on the link between dry skin conditions like eczema and psoriasis and magnesium deficiency. 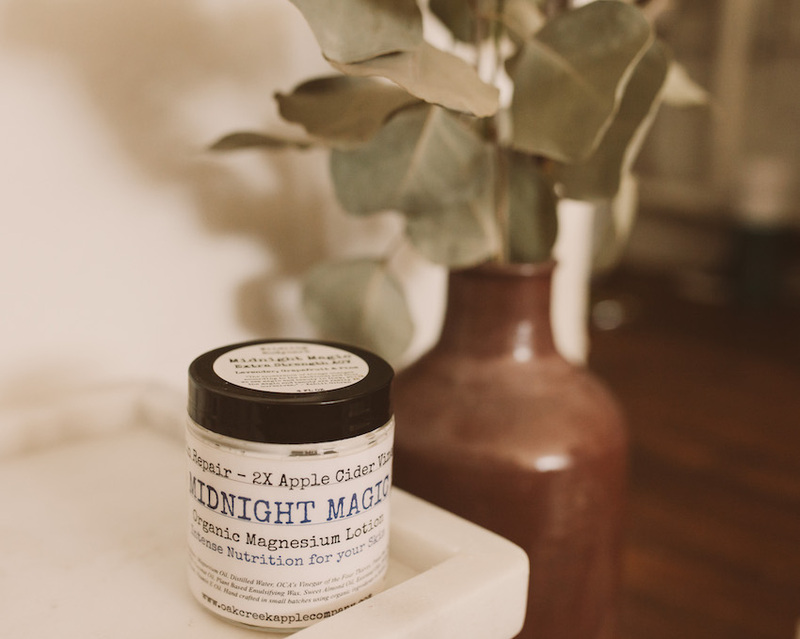 While I was in Sedona, AZ, I found this Midnight Magic organic lotion containing magnesium oil and apple cider vinegar and I used it every day to spot treat my dry patches. The apple cider vinegar smell is a bit apparent, which is why I suggest only using it at night or at home. This lotion immediately stopped the itching and calmed redness on application and I could see my dry patches improving day by day with this. I think this is the miracle product and I'll always keep it on hand for skin problems! I'm excited to share my 5-6 essential products for helping dry, problematic skin in the winter or abnormally dry climates, because I found that this routine worked beautifully with little effort. If you have any questions on this regimen or other skincare concerns, I'm happy to answer them in the comments! I've heard great things about the Buly 1803 Rosehip Oil! Think I need to try for myself.